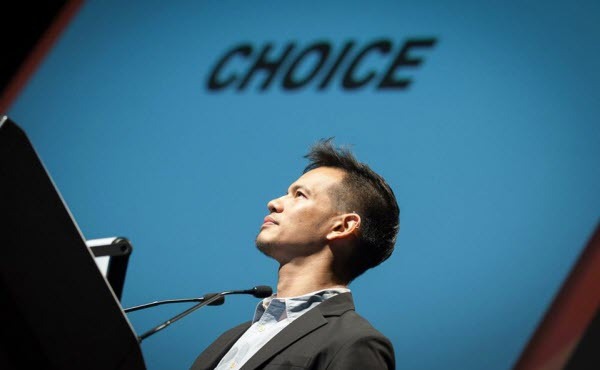 The 2016 Ashoka fellow shares his group’s efforts to develop an app that lists all LGBT-friendly agencies, establishments in Asia’s major cities. It was in 2004 when some of the worst things that could happen to anyone interestingly fell on my lap in one day. Part of the prerequisites for employment in Singapore was for an HIV (human immunodeficiency virus) test. When it was my turn in the clinic, the doctor called me in and reported I am HIV-positive. As if that was not bad enough, he told me I was getting fired and my visa would be denied, thus I would be deported home. That moment could have easily defined me, but it has changed me in ways bigger than I am. Walking out of the doctor’s clinic, not knowing where to find information or who to turn to for help was the first step to the long road of what it took me to get to where I am today. I have experienced being outcast multiple times myself, but one of the most defining moments of my life was when I was stopped at the Changi International Airport in Singapore because of my health status. In the 80s, the city-state made it illegal for those with HIV to enter Singapore. But by 2015, through the efforts of various LGBT groups, Singapore lifted its ban on HIV-positive foreigners who wish to enter the country. It became a reason for me to be optimistic that while there is a lot that has to be done for inclusion in the society, there is something I can do. In 2011, I founded B-Change, a social enterprise group that aims to empower the LGBT (lesbian, gay, bisexual, and transgender) community through technology. In the last five years, our group has been sharing resources and information to the LGBT community on where they could find treatment, services or employment through various platforms. But late last year, I realized, most of our users do not only need solution to their problems, they also want to live a full, colorful life as well. We decided to develop a mobile app containing a curated list of various LGBT-friendly companies, schools, and establishments to help the community find places of comfort and refuge in the city. The app will let users share and recommend these places in the platform and rate them based on their liking. Companies, establishments, and government agencies will also be a given a chance to show their support to the group by voluntarily listing themselves in the data. This will not only help the community in Metro Manila but other major cities in Southeast Asia as well, as we also plan to cover Bangkok, Singapore, Kuala Lumpur, and Jakarta. A digital map will be embedded to the app for better user experience and to also help the community find other places that may pique their interest. Truthfully, I am not sure if this would work, but I am sure as hell that I would try. We have tested online communities, counselling services, and other social media platforms in the last five years. A lot of these experiments have failed. But like any entrepreneur, I have seen those failures as opportunities to learn. I am also greatly honored to have been chosen by Ashoka Philippines to be the Filipino fellow for 2016’s global fellowship. The organization has been supporting stellar causes in the last few years, and to be alongside them is already a vote of confidence for my advocacy. We already started our funding campaign in June 1 and we hope to raise $300,000 in the next six months to enable us to launch the mobile app in the first quarter of 2017. We hope to raise money through community fundraising events, corporate sponsorship, and our soon to be launched Kickstarter campaign. While I have audacious goals, I believe it is time for a more inclusive environment for LGBTs. What we are trying to do in B-Change is to create a way for people to find the services they need to make them feel better, to make them feel more included in the world. We have heard stories of lesbians in Metro Manila who cannot find work solely on the basis that they do not dress femininely. Another sordid example we heard last year was a little girl in Cagayan de Oro who was humiliated in front of her classmates because the teacher thought she acted too boyishly: The girl was forced to get in front of the class, had her pants removed, as the teacher pulled down the classroom curtain and wrapped it around her as a skirt, and forced her to walk around the classroom and act more femininely. Would you not hate it if you were turned away simply because of who you are? Some do not seek treatment because of shame. Because they are worried of what their families would think, or fear being judged by nurses and doctors, too. Now is the time for us to see value in inclusion. The data we will gather can also become a model to help the differently abled in the future. Thus, the success on our part could also mean more for other sectors of the society who wish for the same things: The same things that should be given to everyone, regardless of gender.